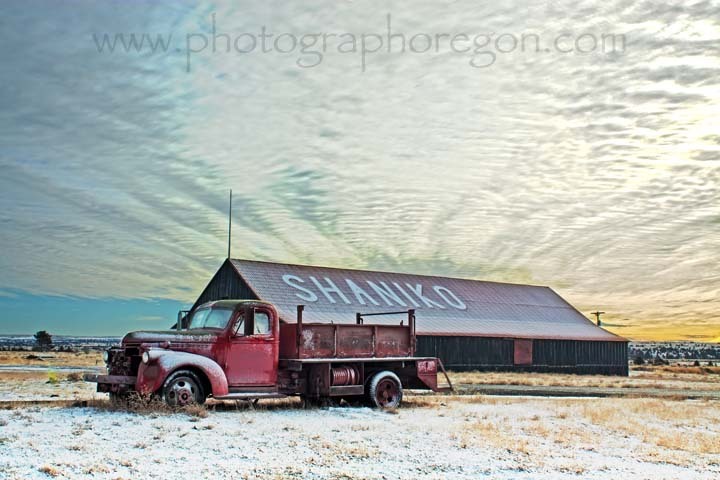 Shaniko really does hold the title of “Oregon’s Best Known Ghost Town”. 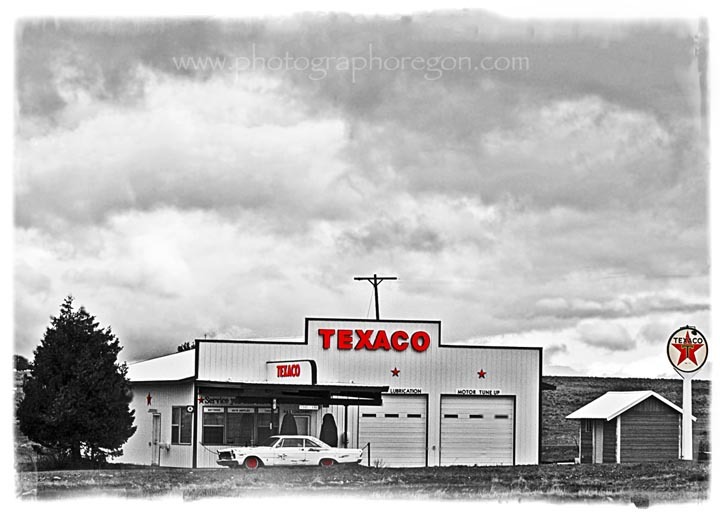 Located in Wasco Co. on highway 97, 36 miles north of Madras, and 58 miles south of Biggs, this early 1900s wool shipping center still sports a lot of activity and some great buildings and vehicles of the old days. If you’re lucky, like we were you’ll find a friendly local to show you around. 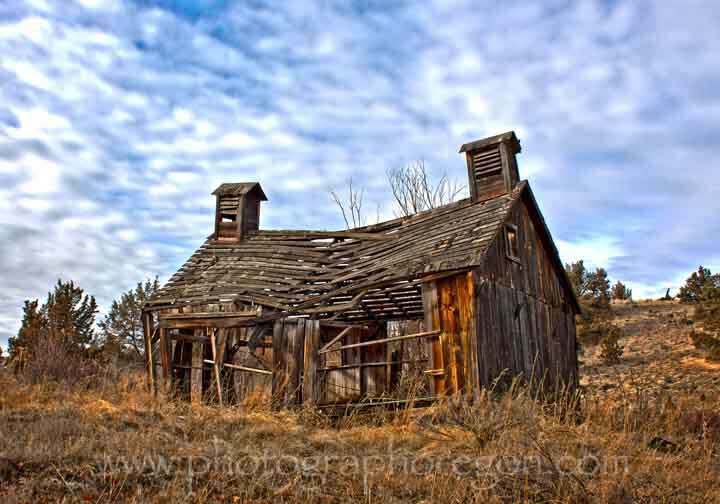 There are a lot of great old ghost town buildings in this quaint little ghost town to photograph. HDR and artistic treatment heaven! Here is the wedding chapel. There never has been an actual church in here. 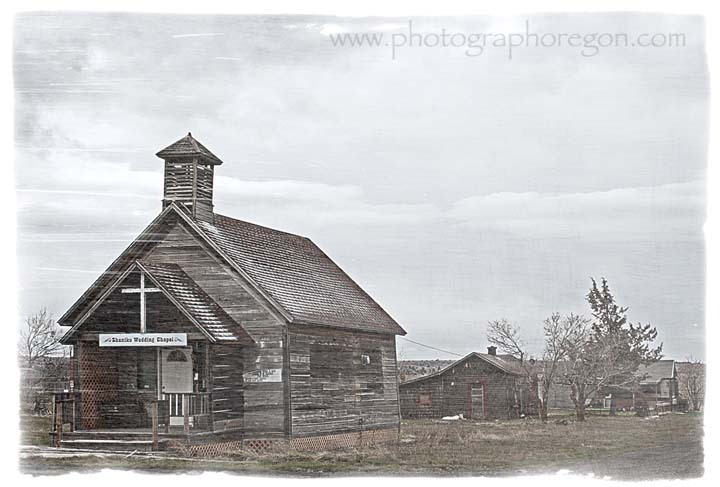 Services were held at the Schoolhouse, however my friends from Five Pint Mary were married in this little building! 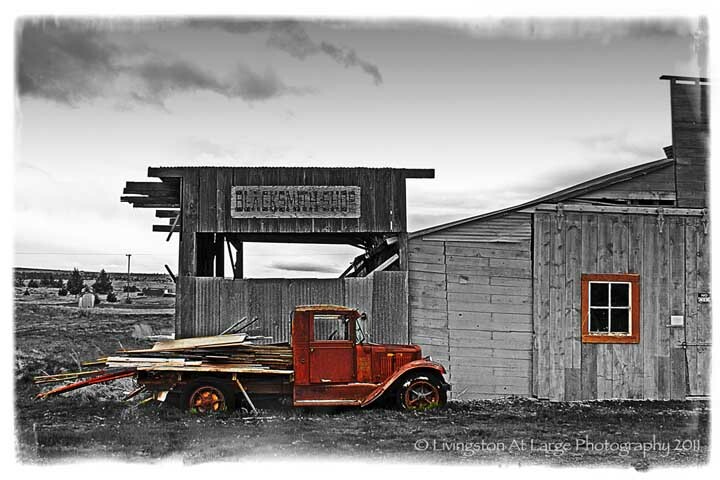 The blacksmith shop and the old truck here are very popular photography subjects. This color pop was a lot of fun to do and is a pretty good seller on my Dreamstime stock portfolio. One day when we popped in we met some of the locals Sid and Ziggy. They were our tour guides for the day. OK so left to right...Ziggy, Ginger, Sid and Autumn. I’d been here three times. The first time I saw no one. The second time I met two ladies, one who had the bathroom key and another who ran the candy store (of course :). 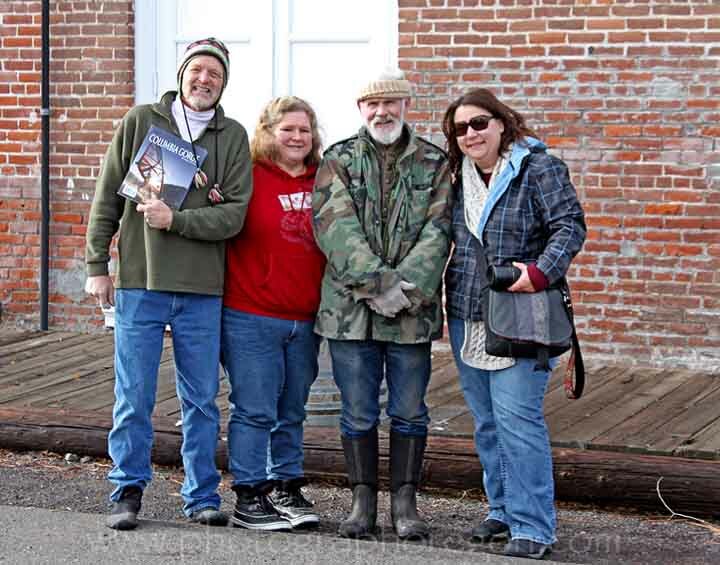 The third time I was with my husband and Autumn Eden, who was visiting us from California and out on a photo safari. That day we hit the Shaniko jackpot in the form of Sid, Ziggy and Trixie. Ziggy actually lives in Antelope, the next ghost town south and that’s another story…and a good one. 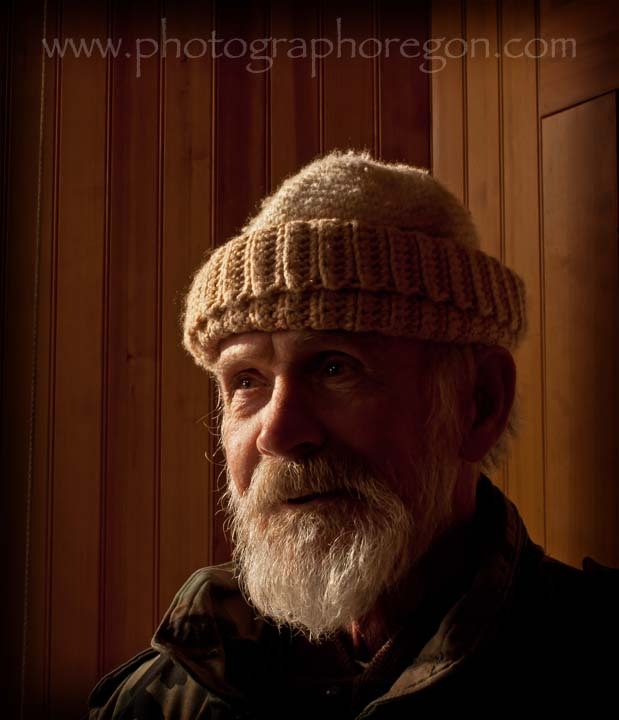 Sid, truly a character and a Shaniko gold mine of information, opened lots of cool places and personally toured us around town. We got to see the new fire engine, the old fire engine, the machine they used to cut the checks to the wool sellers on, the jail (noose and all), the old schoolhouse and a host of other town icons. All along we got a running history of the town. It was one of the best days ever. Autumn Eden and I had a lot of fun doing character photos of Sid’s face. ...and this one is mine. You can see why we were so enchanted. What a great face! 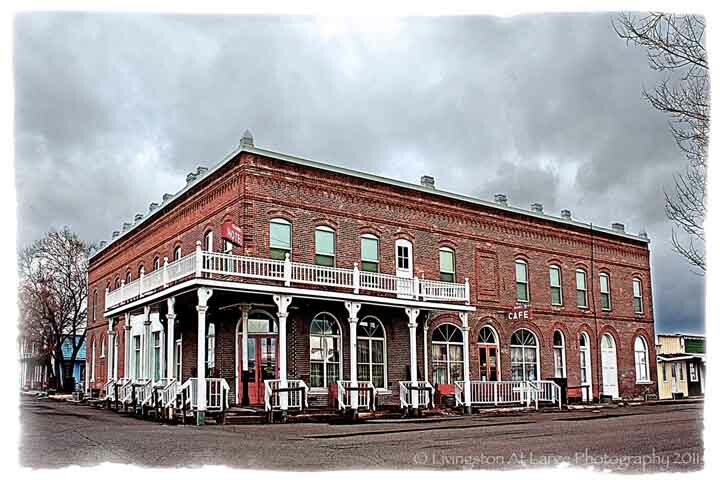 The first European Americans came to the this area after the discovery of gold in Canyon City, Oregon, in 1862. Camps were established wherever people could find water. One camp, Cross Hollow, was located in the present town's city limits. One of these settlers of these camps was August Scherneckau (pronounced Shernako, hence the modern day name of the town), The town of Cross Hollows was located about ¾ of a mile outside of the present day Shaniko. A post office by that name was established in May 1879 with Mr. Scherneckau as postmaster. The Cross Hollows post office closed in 1887, and the Shaniko post office opened in 1900. Schernacknau and his family eventually left Cross Hollows after ten years of managing the local stage stop. From 1900-1911 the town had it’s boom town day earning it’s title of the largest inland wool shipping center in the world by 1903. With wool sales in the millions of dollars, at 15 cents a pound one year they sold over $5 million in wool. On January 1, 1902 the townspeople voted to incorporate the town and elected a mayor, F. T. Hurlbert, and other city officials. Now it was Wasco County's fifth largest city with the largest wool warehouse in the state, which still stands as a Shaniko icon. I think the only thing photographed more is the red fire engine out in the field. 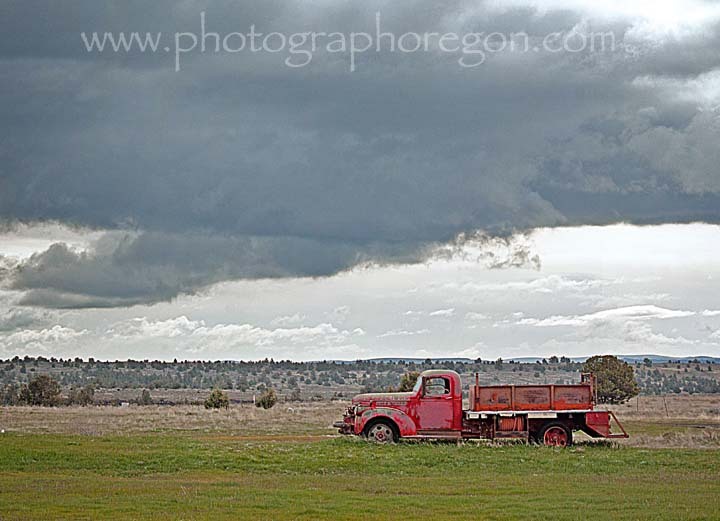 That has got to be one of the most photographed vehicles in Oregon. 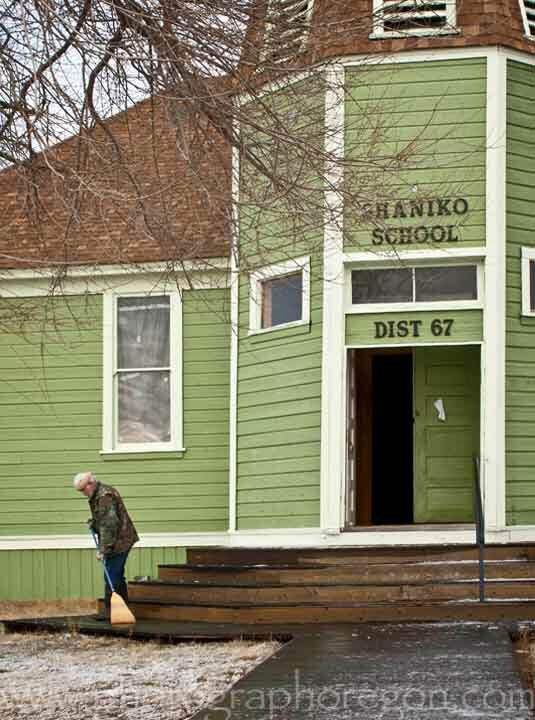 The official census of 1910 for Shaniko, Oregon was 600 residents. There were five saloons, three hotels and a number of other businesses. At present some of the 1900's era buildings still exist, but the majority are long gone, burned down in a series of fires. 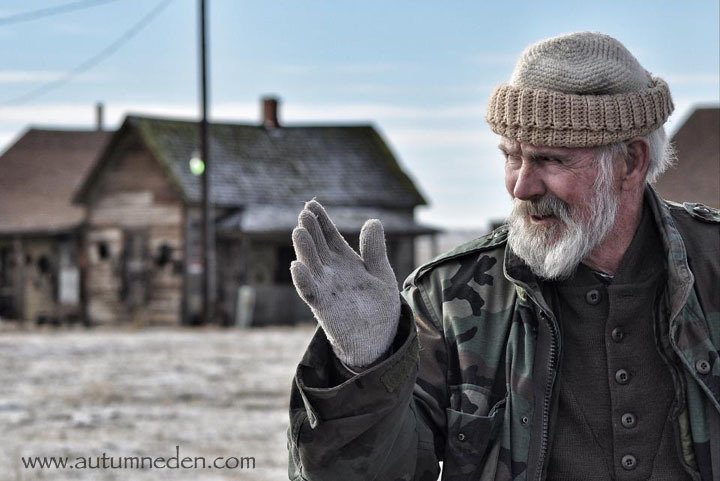 For all of it’s bustle, only one man has ever been shot and killed in the only person ever shot to death in Shaniko. Livery stable owner Del Howell shot Mayor John Fowlie twice in the abdomen. At the time, Howell was under arrest for being drunk and disorderly but had not been disarmed. I read a newspaper article posted in a buildingin town. Howell was not really sure why he shot Mayor Fowlie and was really sorry because the Mayor was a good guy. Gus Reeder served as Marshall for more than 50 years. It seems he did a great job. It’s a good thing he kept things in line there as, due to the bedrock being only six inches down, the town has no cemetery. Oregon Trunk Railroad, which ran along the Deschutes Canyon, was completed. in 1911 causing the town’s ultimate spiral to ghost town status. The new line linking Bend and Madras to the Columbia Gorge soon began to drain away business from Shaniko, which was far more isolated and hard to get to now. A mid-1960s flood in Hay Canyon near Grass Valley destroyed part of the Columbia Southern line and led to its abandonment. The final straw was a fire that destroyed much of the downtown business district and by then there were no funds to reconstruct the town. One of the surviving buildings is the historic Columbia Southern Hotel. Shaniko Days is an annual event in August. It sports a, parade, pit BBQ dinner, music, raffles, entertainment, gunfighters, evening dance. Vendors welcome. Call City for more information at 1-541-489-3226. Held in October Music by various artists, performing at varous venues for three days. Donations at other venues (School and Sage Saloon) are welcomed as the performers come without pay. Call 1-541-489-3434 for more information. Celebrating sheep and the wool industry is a part of this town's history, Annually there is a rendezvous/marketplace event for wool growers and fiber artists. SHEEP TO SHAWL is an educational feature of the event. Demonstrated is the process. They show shearing, skirting carding, spinning, and weaving to make a final product demonstrating all weekend long.